In another new series, I wanted to write about some of histories design icons. Everything around us has at some point been designed. The designers who produce the worlds most recognised symbols, branding and packaging, play a role in our daily lives, but the designers themselves seldom get the notoriety or the similar celebrity that is awarded to those who work in the world of music, film, sport, fashion, art or even product design (Jonathan Ive, Philippe Stark). If you were to show an image of the identity for FedEx, the V&A, ABC, AT&T or the New York Subway to a member of the general public, they would more than likely be able to identify the brands, yet if you were to ask them who created the logo's they would probably have no idea. 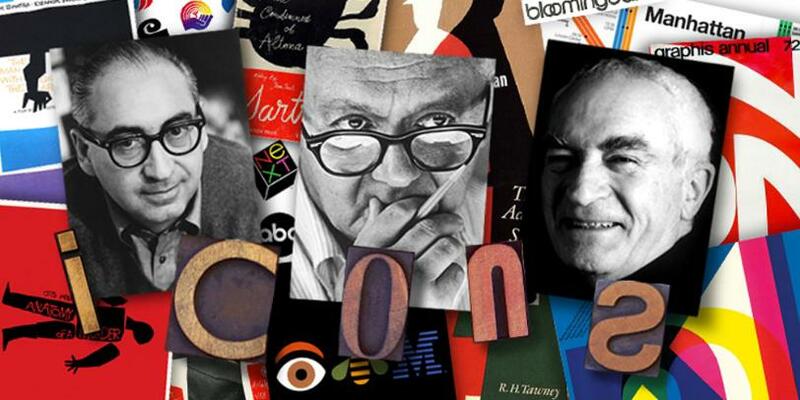 The likes of Alan Fletcher, Micheal Wolff, Micheal Bieruit, Lindon Leader are certainly recognised figures within the world of brand design but a lot less known by the general public. For the most part, us branding and packaging designers are happy to be the figures in the background and to let our work receive the notoriety, or at most, that any recognition we do attain is only from within our industry.